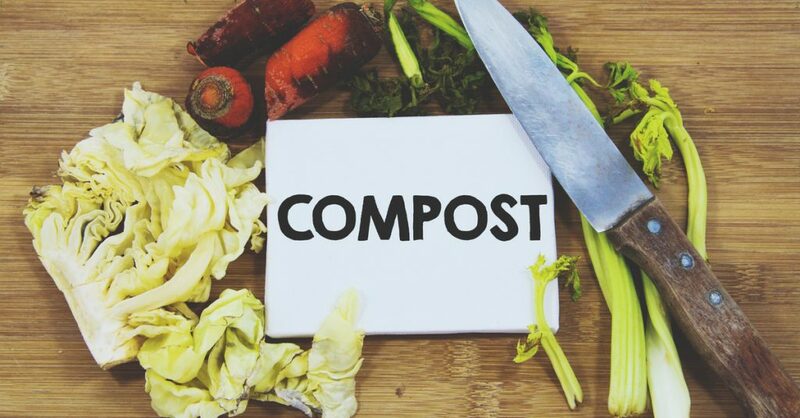 Some people skip on turning their kitchen scraps and other compostable materials into compost because they worry that it’s going to be too hard to do, that they don’t have enough space to do it, or that it’s unsanitary to have around their home or yard. The truth is that composting isn’t too hard to do, doesn’t necessarily have to take up too much space, and if done correctly, isn’t unsanitary. Composting is a great way to get free nutrients for your garden and helps the environment. This primer will get you started on your own composting project to start creating black gold to add to your garden. Use materials you would normally throw out keeping them out of the landfill. 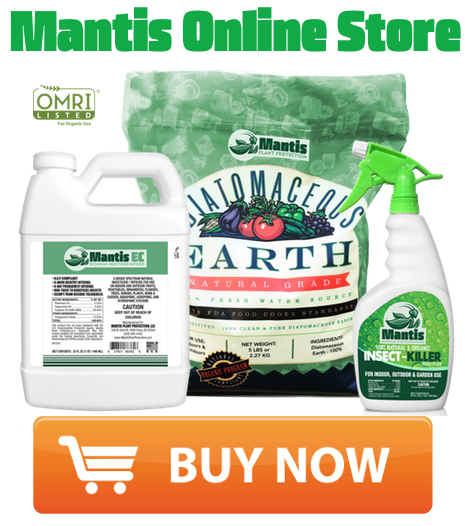 Create free nutrients for your garden. 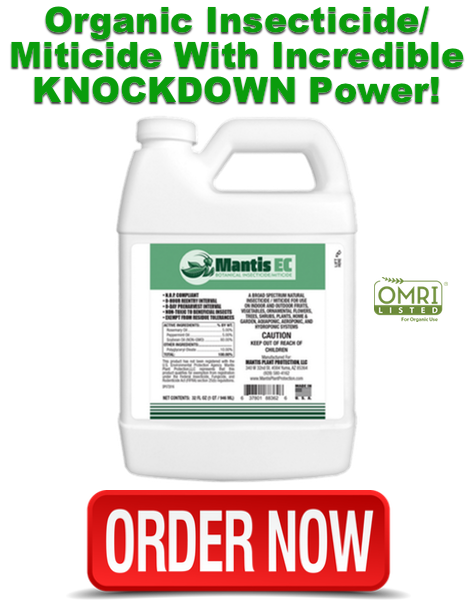 Improve the overall health of your garden, lawn, and the soil. Not everything is compostable, but here is a list of some of the basics. 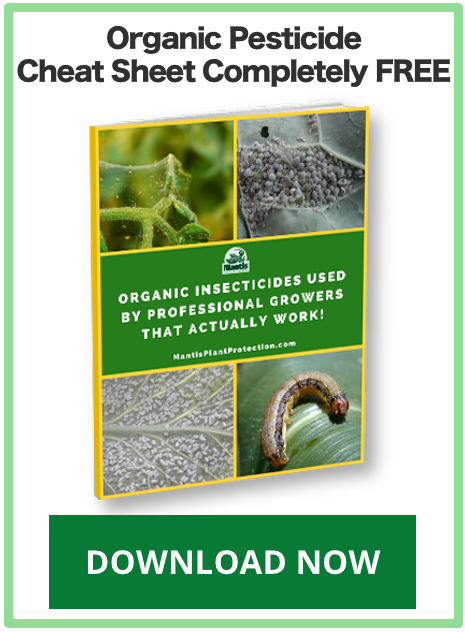 There are a few things that will have a negative effect on your compost and your garden or lawn. One of the first things you should avoid composting is your pet manure. Pet manure can have organisms in it that can be bad to put in your garden where you grow food crops. You should also skip putting any items into your compost that have had pesticides on them. This can include banana peels, orange rinds, and peach peels. 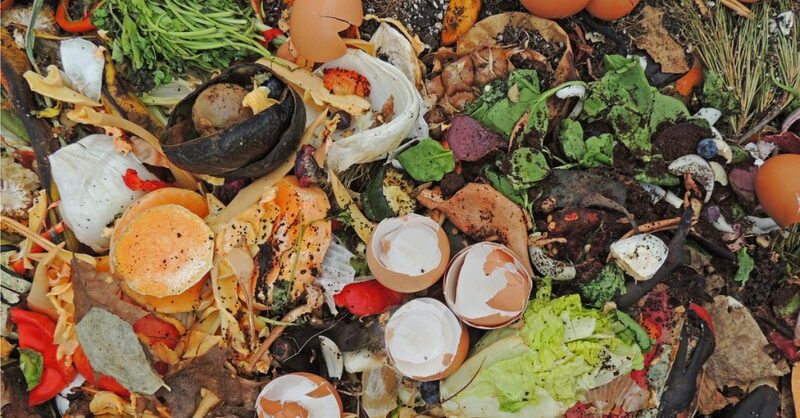 In addition, you want to skip putting meat, bones, and fish scraps into your compost pile. This can turn your compost into a smelly mess that attracts flies, pests, and even some local critters looking for an easy meal. You can spread perennial weeds if you compost them, especially if they’ve gone to seed. In addition, if you’ve pulled any plants that you think may be diseased, don’t put them in your compost pile as this may put the disease back into the soil for your next crop. The hardest part is getting started, and honestly, that can often just be remembering to put your scraps aside to go into the bin or pile rather than discarding them. 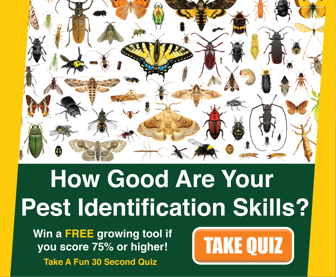 You’ll want to pick out where you’re going to put your pile or the composting bin. 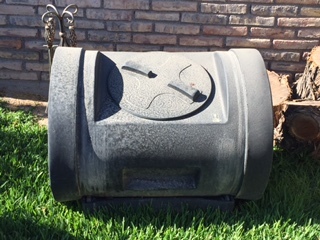 Commercially available composting bins are a great way to take out all of the hard work of composting. A bin usually requires you to just put your materials in, giving it a spin to aerate the materials, and voila. This is perfect if you don’t have a lot of space or have neighbors that may complain about an open compost pile. For those going beyond the bin, the spot for your compost pile needs to be large enough that you can spread some straw or twigs in layers to create better drainage. 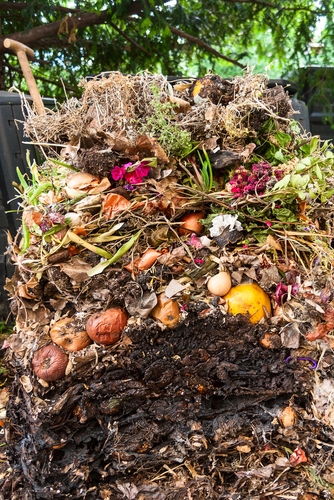 Some people like putting their compost piles in areas where they will be gardening in the future because the pile will leave behind some great nutrients that have leached into the soil. 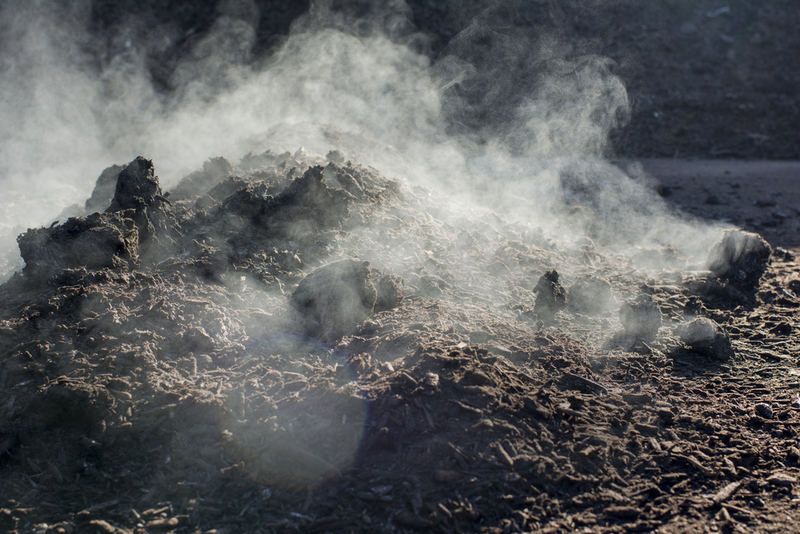 Once you have your spot, you’ll want to start adding your compost materials to the pile. You should try to alternate between layers of moist materials, like food scraps, and dry materials, like paper. If you’re trying to keep your kitchen scraps together for a longer period of time rather than taking a trip constantly to your compost pile, you can invest in a bin with a lid. This will help to keep any smells down in your kitchen and allows you to keep your layers of wet and dry materials. Just keep in mind that nitrogen is essential for the composting process as it kick starts it, so this means you’ll want to add food scraps, manure, or grass clippings. This is true for your composting pile or bin. Also, your compost pile should be moist. This means either allowing the rain to soak into it or watering it with a hose. This can be a bit of a tightrope to walk as you want it to stay damp, but you don’t want too much water. Too much water can be bad for your compost. 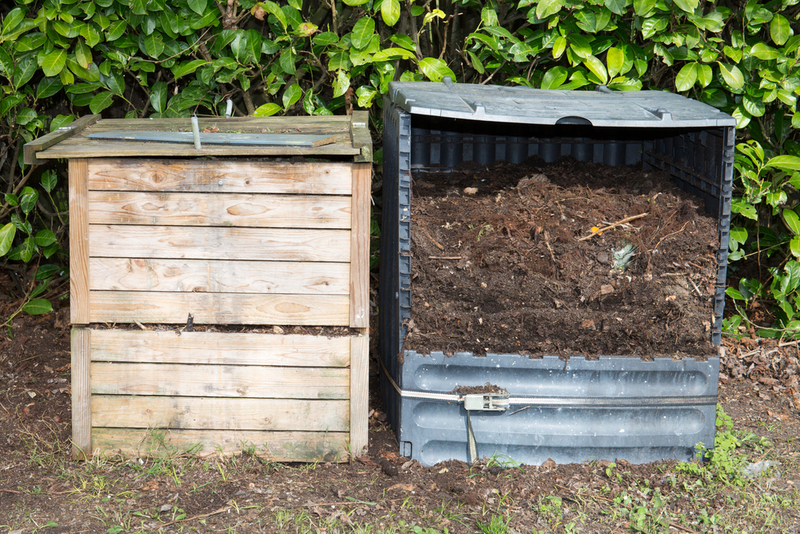 You’ll also want to keep it covered with either old tarps or carpets as this keeps the moisture and the heat in the compost pile as these elements are all needed to make a rich compost. You’ll add new layers to the top of the pile, and the oldest layers will be at the bottom. It can be essential to mix the moist and dry layers using a shovel or other tool. You’ll want to do this every few weeks as it will put more oxygen into the compost pile to help the materials to continue to break down. A higher carbon to nitrogen ratio is good to have with your compost pile as this helps to better break down the carbon. When applying your compost, you’ll want to use the bottom layers first. Composting is a very powerful tool for a gardener to use that many people may be skipping because they have misconceptions about the process. Be green by starting to compost in your daily life. You can start small at first, and then move up to ensuring that every compostable material enters your compost bin or pile. 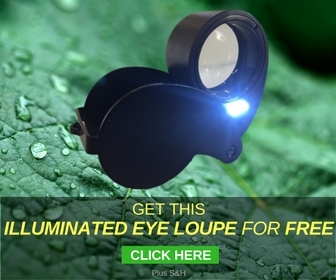 Your plants and soil will thank you.